Beauty Institute with authentic ingredients: Tamanu Oil, Volcanic Ash, Frangipani, Coconut Oil and more..
Do you find it important that your skin is well fed, and get a good portion of relaxation? Beauty, Care & Depilation Institute with over 30 years of experience. Belcastro & Bellissima is a beauty center where the most diverse body treatments are offered. With great passion and love, Belcastro & Bellissima was born in 1982, founded by Belcastro Pietro & Ruyl Olga. Their family business stands for quality, personal attention and results. After all these years, Olga passes on her expertise and experience to her three daughters. Mireille, Angélique and Valérie continue working with love, passion, eye for detail and professional advice. 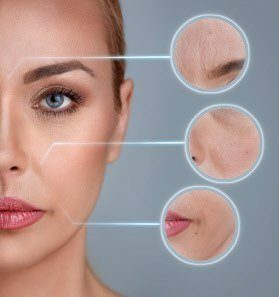 Energist VPL UltraPlus offers you a fast, safe and non-surgical solution for many different skin conditions so you can maintain your healthy and youthful appearance at any age. A manicure treatment from hand and nail care. A pedicure can prevent or reduce foot problems.